Nicholas Chrisostomou visits the first private distillery to open in Helsinki for over a century, for a lesson, tour and gin tasting. There’s absolutely no doubt that ‘mother’s ruin’ is the spirit of the moment and we’re in the middle of a full-on gin renaissance. Sales of the juniper-flavoured spirit are rocketing globally, with distillers falling over themselves to release fresh craft expressions to keep up with the growing worldwide demand for new gins. According to the British Wine and Spirit Trade Association, the U.K. saw a 12% increase in volumes sold last year, and a 32% increase in the amount of British gin exported in the past five years. Some historians label the rise of gin as England’s first real drug craze. First made as a medicinal tonic in the early 1600s, in the 18th-century gin was considered such a blight on society that various acts were introduced in an attempt to restrict its consumption. Hugely unpopular with the working-classes, the introduction of the 1736 Gin Act, which imposed a high tax on gin retailers, caused widespread riots in London. 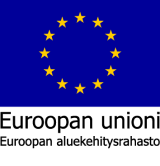 As a result, the tax was significantly lowered within a few years. Fifteen years later, the Gin Act of 1751 prohibited gin distillers from selling to unlicensed merchants, restricted the issuing of retail licenses and charged high fees to those who were eligible to retail the spirit. And, in an attempt to replace gin in the cups of the masses, the importation of tea was encouraged as an alternative! Of course, the gin of 18th-century England (which was crude and cheap) is very different from what we drink now. Whereas today’s gin is generally 40% ABV (alcohol by volume), it’s likely that the homemade distilled concoctions of the 1700s were much stronger, possibly as high as 50%. Cheap, widely available and legal, highly-intoxicating gin proved to be an addictive, irresistible and lethal combination, not forgetting that for many, this was a time when alcohol was safer to drink than mains water. And because gin wasn’t taxed initially, it was even cheaper than beer. Some might say that gin was the 18th-century crack cocaine of England’s poor, since its powerful depressant qualities (its USP if you like) were a cheap means to forget their worries. Ingrained in the very foundations of society at the time, a noticeable increase in women gin addicts in the 1700s led to its various feminine nicknames, including ‘mother’s ruin’. It’s widely believed that the humble gin and tonic was the reason the British were able to rule India for as long as they did. Essentially a method of medical advancement, the first gin and tonic was first developed in the 19th-century, as a way to make the anti-malaria drug quinine more palatable for British officers at risk of catching the deadly disease in India. But the original quinine-based mixture was extremely bitter to drink, and so lime, sugar and gin were added to make it more appetising. Then the descendants of a German jeweller based in Geneva, Johann Jakob Schweppe, used their newly-patented bubbling device on a mixture of oranges, water and quinine. They called their product Schweppes Indian Tonic and the rest (as they say) is gin history. Today a traditional G&T remains the most popular way to consume gin, but the spirit’s use is also surging in cocktails and (like whisky) as a neat drink served over ice, especially when enjoying a high-quality or craft gin. 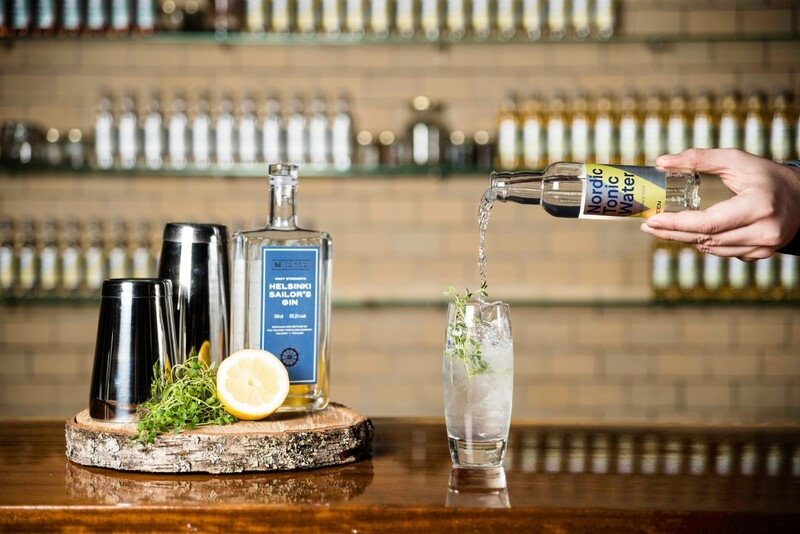 Whilst large multinational drink manufacturers are meeting much of gin’s increased demand by upping their mass-produced output, a growing number of small distillers have sprung up to offer consumers quirky, high-end, small batch (hence exclusive) and higher ABV alternatives to the big brands, a trend which follows that of craft breweries and whisky distillers in recent decades. 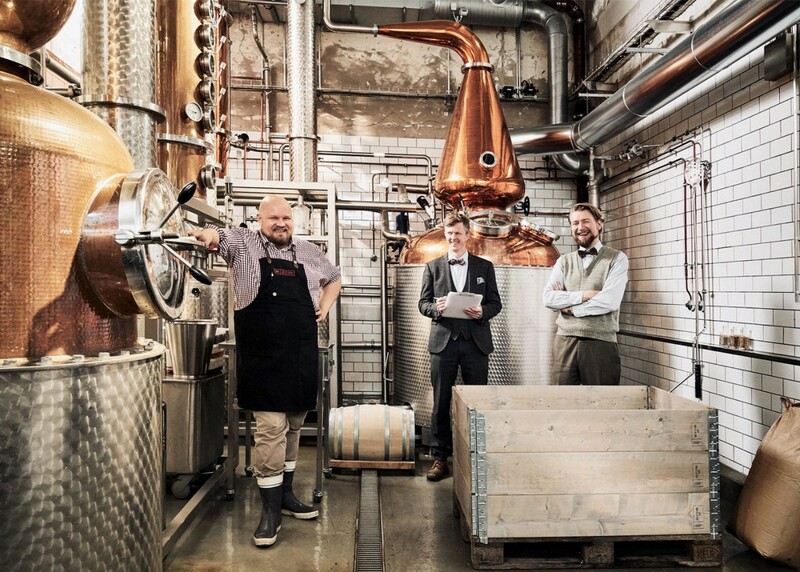 One such distillery is The Helsinki Distilling Company (HDCO). 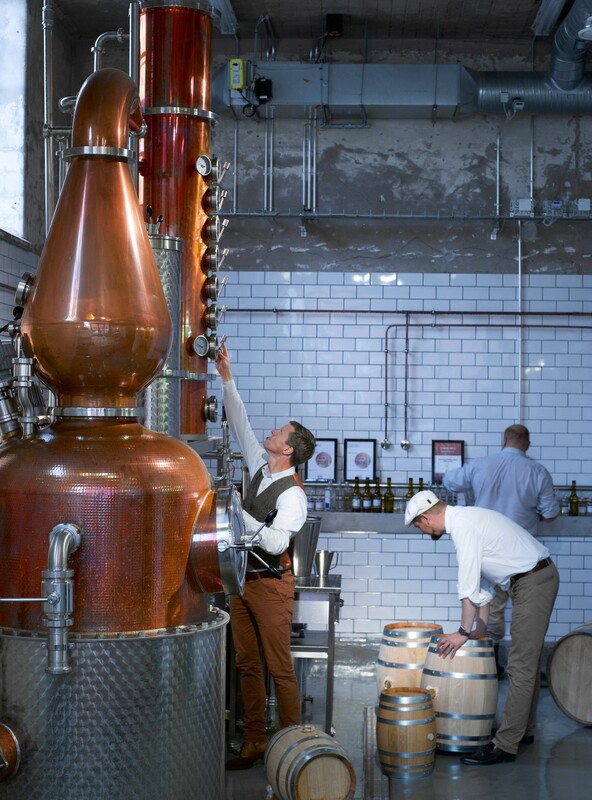 Founded in 2013 and fully operational a year later, HDCO was the first private distillery to open in Helsinki for over a century, and distils premium gin, whisky and other spirits using the best local ingredients, many of which are unique to Finland. This makes HDCO’s spirits rather special. The distillery is located in Teurastamo – a former abattoir and now the food culture heart of Helsinki. HDCO’s two-storey building has a fascinating history of its own, having been used as a power plant for thirty years, then a soap factory, meatball factory, car wash, wine cellar and most recently an architect’s office. HDCO ‘s spirits are produced by master distiller Mikko Mykkänen, along with Kai Kilpinen and Séamus Holohan. I’m a big believer in trying to learn more about what I’m drinking, and the best way to glean such knowledge is first-hand, straight from the horse’s mouth, as it were. So, I visited HDCO in the Finnish capital and met with Marietta Kuivanen (HDCO’s brand ambassador) and Mike Byars, the distillery’s stillman, to find out more and sample some of their wares. Gin is produced by using juniper berries and other botanicals to flavour an already-distilled neutral alcohol. In the case of cold compound gins, after any botanical solids have been removed the liquid is diluted and bottled. Many budget (or supermarket) gins are made this way. The costlier but far more flavoursome way to make gin, is to redistill the alcohol after the botanicals have been added. 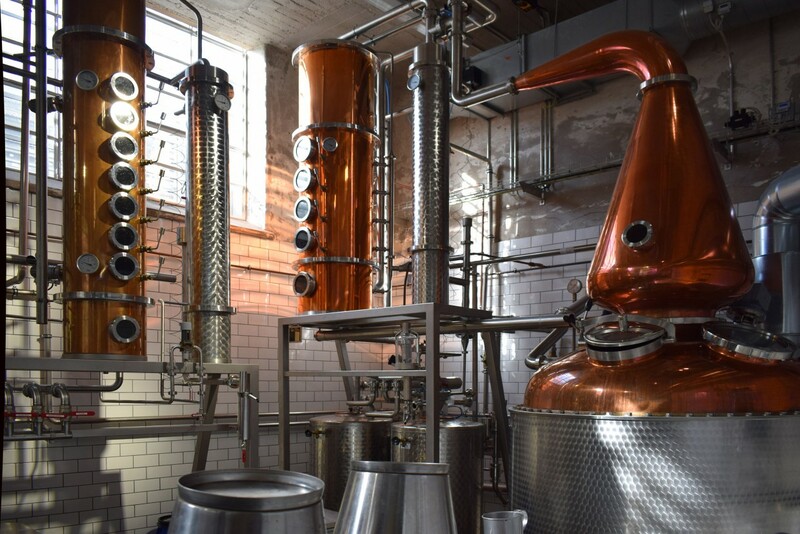 This is how HDCO produces its superior gins, after a long maceration process, using Finnish ingredients which are some of the best in the world. Blended with the purest Finnish water, 47% Helsinki Dry Gin is made using nine hand-picked botanicals including the Arctic lingonberry, creating a well-rounded and smooth spirit which has its own subtle yet sophisticated personality. It tastes just as good on the rocks without a mixer, as it does as part of a G&T made with VEEN Nordic tonic water and garnished with lingonberries and a slice of pink grapefruit. After I had learnt about the distilling process from Mike and sampled a variety of HDCO’s gins during a tasting session with Marietta, I was able to notice the delicate characteristics of the gin I was drinking, especially aromas of the Nordic forest and the floral, citrusy notes in my Helsinki Dry G&T, which were enhanced immeasurably by the lingonberries in my glass. An hour at HDCO turned into three and I left the distillery better educated and happy. I’ve always said that life is a never-ending journey of education. What better way to add to my knowledge than learning about how premium gin is made and how to make the perfect Finnish G&T.